Image: Alcon Entertainment/ Warner Bros. So it’s come to this. 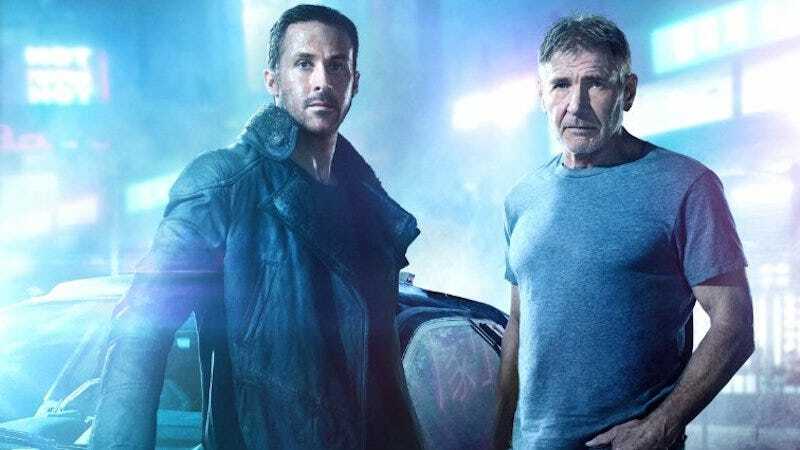 Blade Runner fans have debated for decades whether or not Rick Deckard (Harrison Ford) was a replicant. And they’ve debated whether or not there even was an answer in the movie at all. They’ve debated who to believe. And when Blade Runner 2049 directed Denis Villeneuve said that there wouldn’t be an answer in the sequel, we made our peace. Well, Ridley Scott’s kicked that wasp nest all over again. Last year, Villeneuve said that Deckard still being alive 30 years after the first movie was set doesn’t necessarily mean that Deckard isn’t a replicant. He added that it was important to him not to mess with the mysteries of the original film. Oh, it was always my thesis theory. It was one or two people who were relevant were... I can’t remember if Hampton agreed with me or not. But I remember someone had said, “Well, isn’t it corny?” I said, “Listen, I’ll be the best f#@king judge of that. I’m the director, okay?” So, and that, you learn — you know, by then I’m 44, so I’m no f#@king chicken. I’m a very experienced director from commercials and The Duellists and Alien. So, I’m able to, you know, answer that with confidence at the time, and say, “You know, back off, it’s what it’s gonna be.” Harrison, he was never — I don’t remember, actually. I think Harrison was going, “Uh, I don’t know about that.” I said, “But you have to be, because Gaff, who leaves a trail of origami everywhere, will leave you a little piece of origami at the end of the movie to say, ‘I’ve been here, I left her alive, and I can’t resist letting you know what’s in your most private thoughts when you get drunk is a f#@king unicorn!’” Right? So, I love Beavis and Butthead, so what should follow that is “Duh.” So now it will be revealed [in the sequel], one way or the other. Either someone is lying or the way everyone translated Villeneuve’s original French interview is wrong. Maybe Villeneuve wanted to preserve the surprise and Scott just doesn’t care? My gut says that’s the most likely scenario, but I don’t know whom to trust here. Somehow the question isn’t even “Is Rick Deckard a replicant?” anymore. We’re back to wondering if Blade Runner 2049 will have answers... and just when we’d made ourselves content with the mystery.